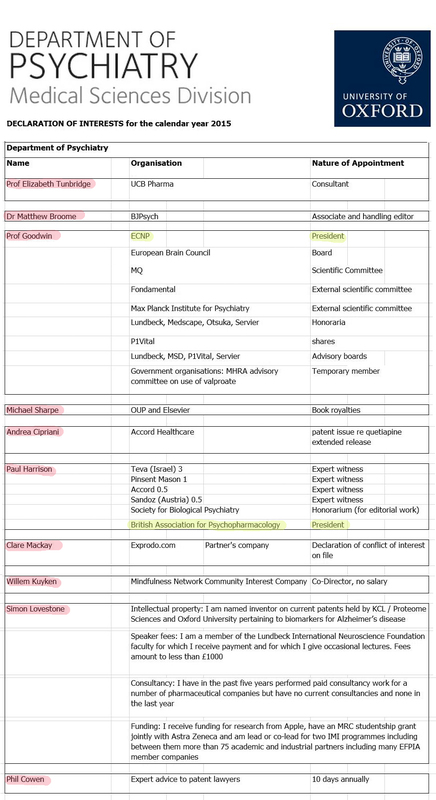 I recently wrote to the Department of Psychiatry, Medical Sciences Division, University of Oxford asking where the declarations of interest for their staff could be accessed by the public. 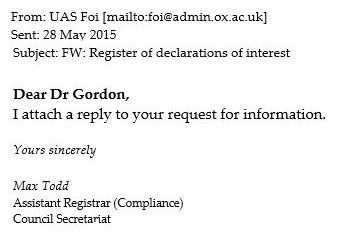 The University of Oxford treated my enquiry as a Freedom of Information request, although I was hoping for a link on their webpage to registers of interest for the current year and the two years before. I would hope that the University of Oxford might consider making declarations of interest for all staff available to the public in the future.